Yum. 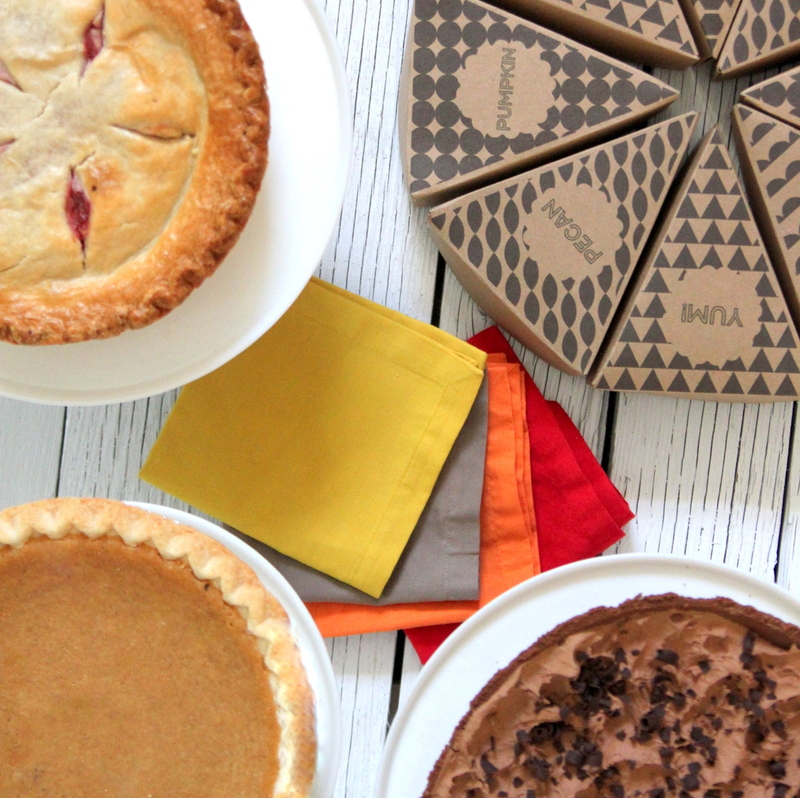 There are lots of things to love about the holiday season, but a whole buffet of treats, and especially PIE, ranks at the top of my list (also, leftovers, but you already knew that). 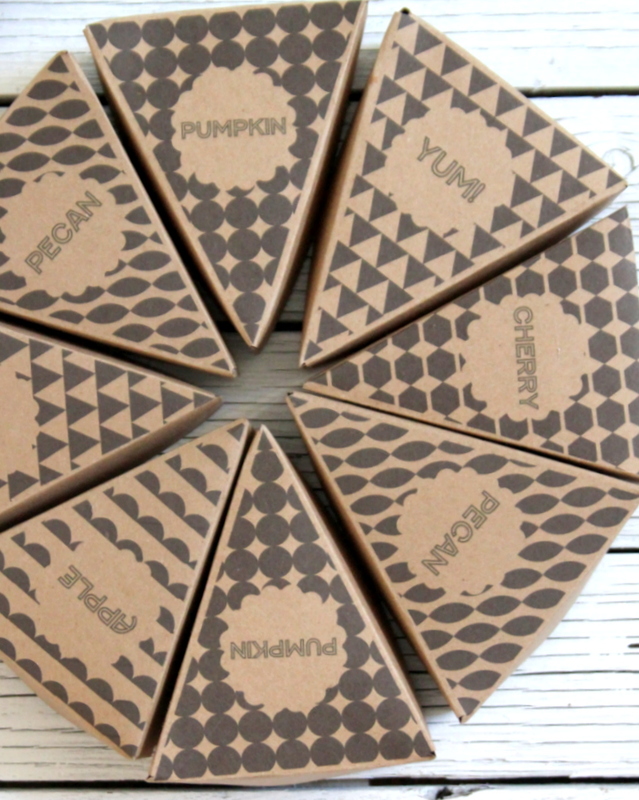 Trailing closely behind my love of treats and pie is my love of packaging, making single serve pie slice boxes pretty much perfection in my book. 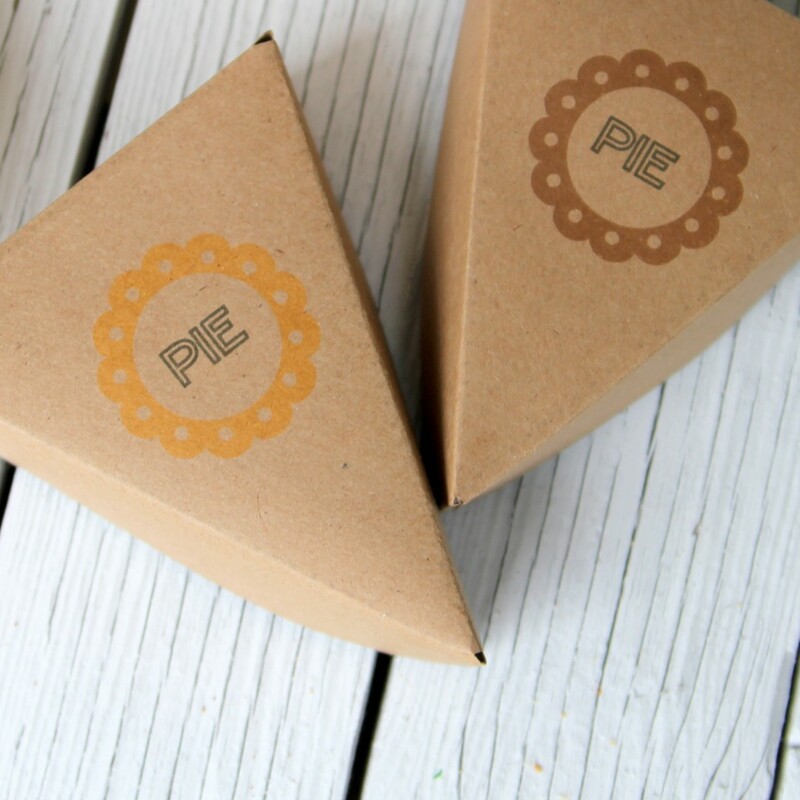 The only trouble is, in the hustle and bustle of December craziness, I never think ahead enough to track down pie boxes before we have people over. 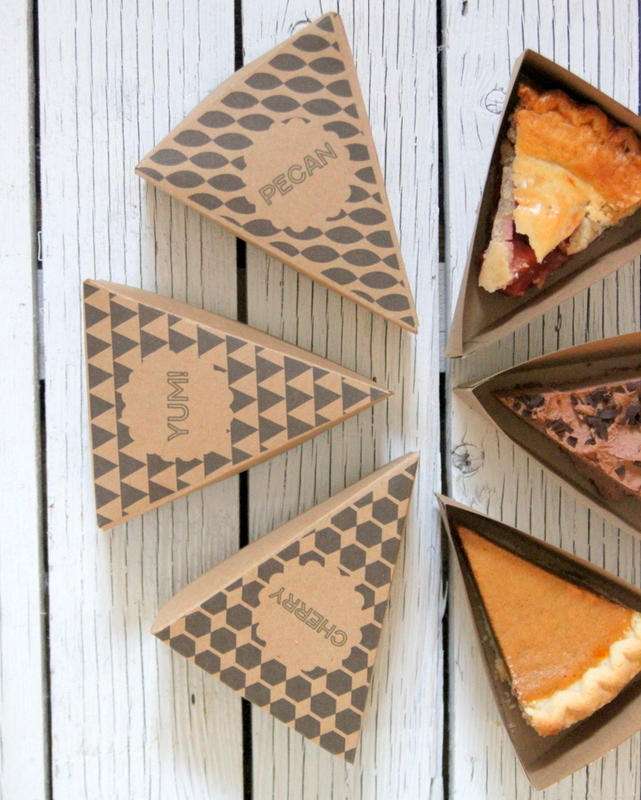 Enter my new lovely Canon PIXMA- easy, convenient, gorgeous pie boxes straight from my printer. 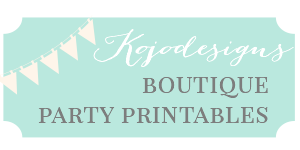 You probably need some as well, right? 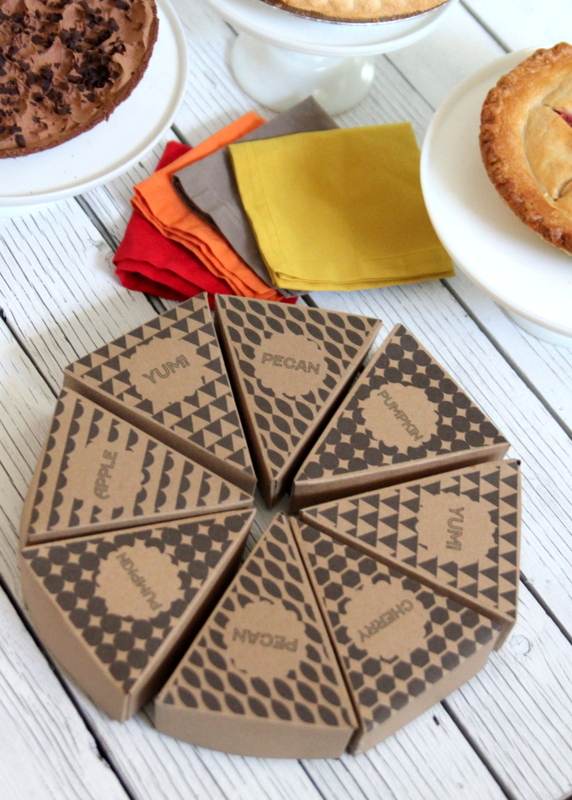 Just download these holiday party pie favor boxes, print on kraft card stock and fold. 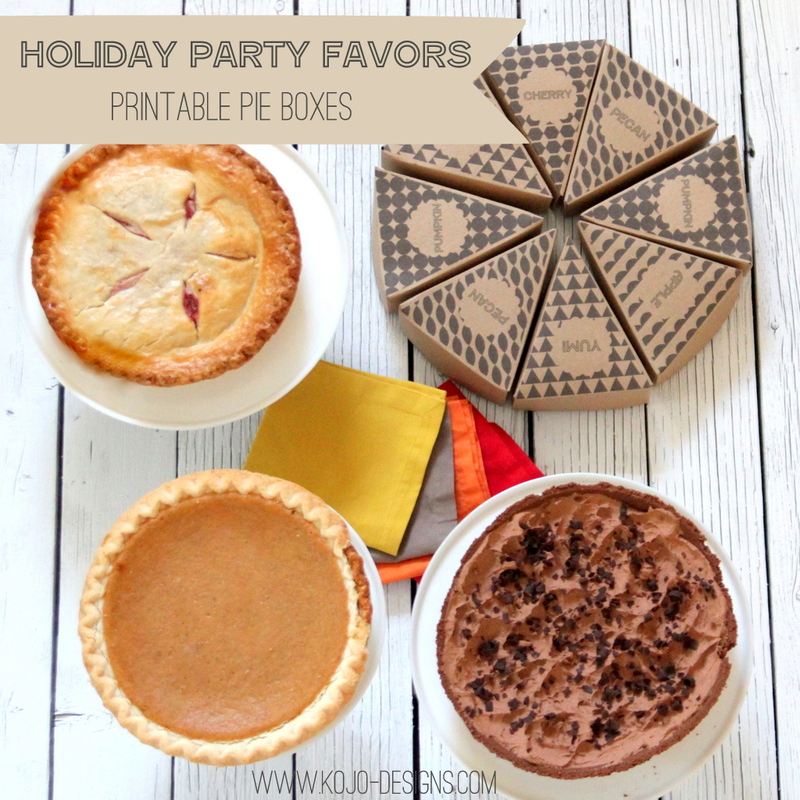 The “PIE” boxes from our ‘blogsgiving’ leftover station are part of that printable file as well, just for fun. I adore this! You are amazing! !